A few people have asked me to share why I chose not to get an epidural with our fourth child who is now 7 weeks old. Did you get an epidural or go all natural? Of course, this was months of research and making out a birth plan and thinking about it. I didn't think I would get past 37 1/2 weeks with our youngest because I hadn't with any of our kids yet. But, I was wrong - I made it to 39 weeks exactly! Well, our appointment was around 10am or so if I remember right at my midwife's office and I had discussed her sweeping my membranes at that appointment since they won't before 39 weeks. I had been 4 and 5cm for about two weeks before, so I was getting a bit impatient. My husband took our youngest son (23 months at the appt) and went to the store I think it was, knowing I likely would not be going home but not being sure. 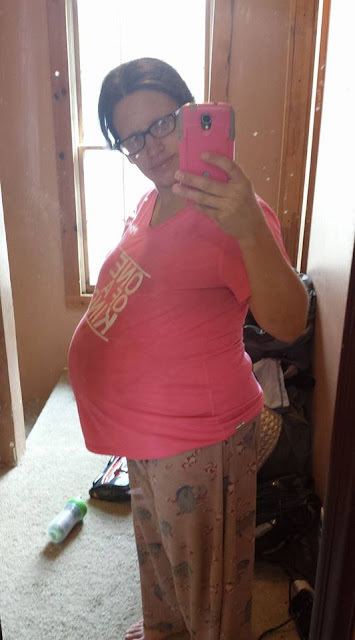 This is the last pregnant picture I have of me, and I was 38 weeks and 4 days. So, I asked her to sweep my membranes, which yes by the way is quite painful. What does it do? I am not sure but it's not too pleasant, but hey it worked fast for me. I was told I could not go back home without a baby, since we live 30 miles away and I was already 6cm. So, I texted my husband to get his mom to meet us by Walmart to get our son since she's our babysitter when I go to the hospital. So, she met us and got him and we went straight to the hospital once I got a soda from Burger King. I was having contractions (not painful but noticeable) within an hour of my appointment. We were sent to the hospital for an IV medicine for Group B Strep which is common thing at the end of pregnancy with some women. The medication just helps protect baby before being born, so he or she doesn't get it. Well, my husband had to race home to get two things and to get kids off the bus and take them and their clothes / bookbags to his parents' house, and then race back to the hospital all within a couple hours before they were going to agree to break my water. Because, I asked them to break it as I go quickly (within 4 hours) after that. While I was waiting for it to get broke, I was on my laptop and some of while I was in labor after it broke too. At 4:42pm, I was told the midwife could now break my water but I was hesistant because he was not back to my room yet but trusted he'd be back soon, so I let her break it. Less than five minutes later, he was back! Well, it's a good thing he got back when he did because exactly ONE HOUR later at 5:42pm, she was born! We were all completely shocked at how fast my labor was. 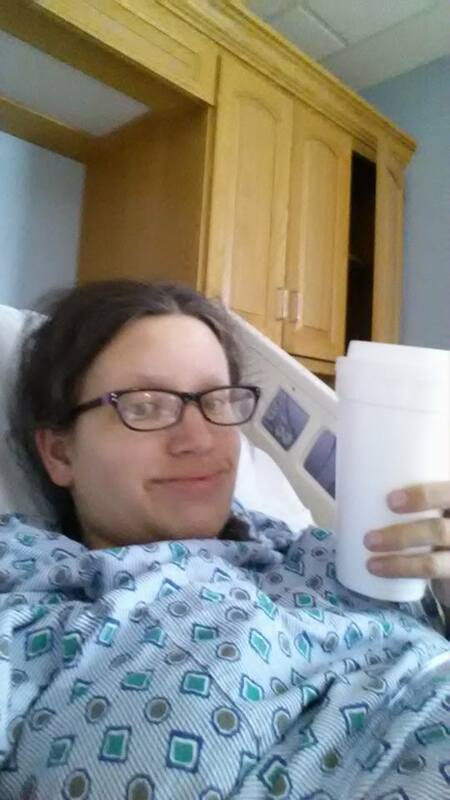 The other great thing about labor with no epidural is I was able to drink ice water the majority of the time. And, everyone knows hospital ice is AWESOME! I just love the little ice balls the hospital has here. So good! 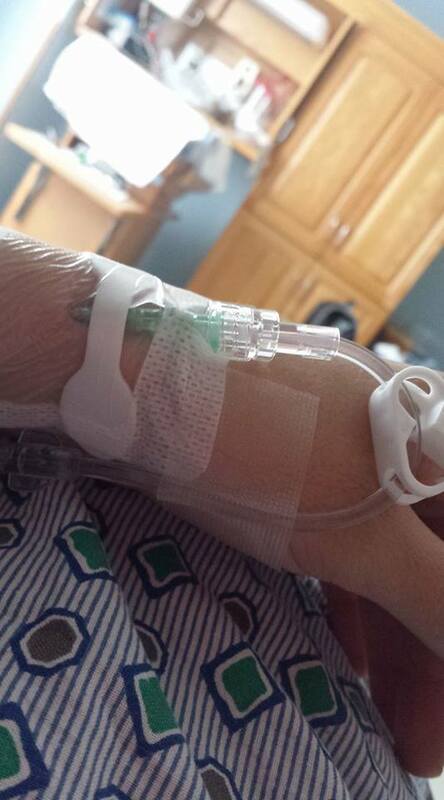 I did get one pain medication via IV I think it was Demerol, but got no epidural which ended up being a great thing. I got to walk around during labor - I chose to just stay in my room and sit on the birthing ball, and go to the bathroom and not be hooked 24 7 to monitor. 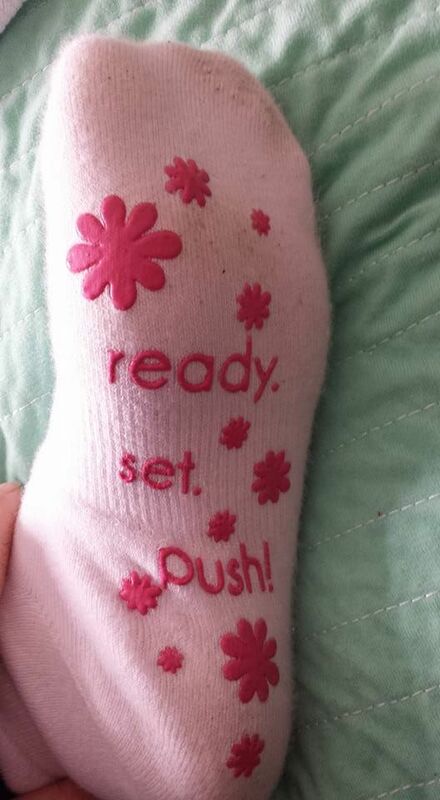 Our nurses loved the socks I wore during labor too. It gave a little humor to the wait. The food I had the day after I had her was amazing meal wise. The vegetables were so good! 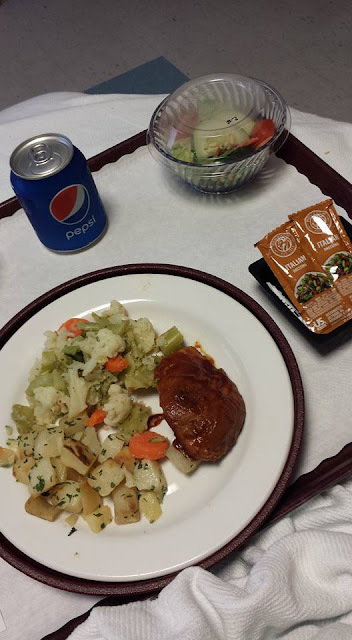 I personally love our hospital's food. It's really quite good and the staff is always nice too. Did it hurt without epidural vs with one from our other kids? Yes it did quite a bit more closer to the end more so, but labor itself was not horrible really. 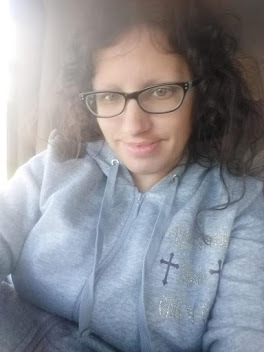 It hurt quite a bit hense my getting one pain medication, but it was well worth it as my recovery was great and I felt great by day 5 like I did with our 2 year old, but no back pain. I had ice still with epidurals, I think my second child didn't have anything as it was like "You are having this kid now!" I walked like two hours every day when pregnant with my middle, barely gained about 17lbs and so when I arrived at hospital it was like ready, set go! Hello Son ;) Loved reading your story! I had an epidural for both of my deliveries but the first time, it didn't really work all that well. I don't know how women do natural childbirth with that kind of pain. It wasn't for me. I had two homebirths without any interventions such as an epidural. Even if I had wanted drugs, my labors were too short: 4.5 and 2.5 hours. I have always wanted to have a water birth in the hospital or a birthing center, but with our town being so small we don't even like our hospital 20 min away, so we drive 30 miles to our hospital. The closest birthing center is 2 hours away in Pittsburgh so that is not an option. Loved your story. I got an epidural both times. It was not even a consideration to NOT get one for me. I definitely loved my epidurals with my oldest and 2nd child, the 3rd one hurt my back. I am not sure why though. If I ever have another, I'm not sure what I'd choose since my labor was so fast once water got broken by midwife. Never thought in a million years I'd have a 1 hour labor. I didn't have the epidural with my first too, either. At the age of 36, I really appreciated the epidural with my third (and last) child. Oh my gosh, you're crazy brave! I don't exactly know what to expect yet. I just imagine it to be so painful. I think I will need to go the epidural route! At least for the first one! I opted for the epidural for our older 3 kiddos in labor. But with my 3rd it hurt my back likely because it was done in same spot. I did not have time to get epidural even if I wanted one with our youngest at end. It was a 1 hour labor lol from time midwife broke my water til i had her. 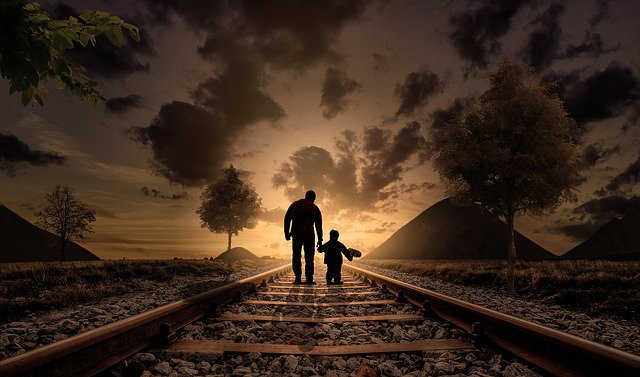 What a good story I love reading and I remember the time that I was give birth to my two boys they have a different pain. Glad you had the choice. I took the epidural with my son but with my daughter there was a few complications that prevented me from taking it. I had an epidural with my first son but it didn't fully take. I did a lot of research while pregnant with my second and decided to go natural! It was SUCH an amazing feeling to make it through labor without it! After our first didn't take, for our second pregnancy we were sure we wanted a good epidural. So glad we did, my wife has much better memories of it! Oh it hurt bad for me too believe me, for actual delivery and I got 1 medication via IV. It was the healing afterward that did not take me long to recover from at all before I felt great. I sometimes regret not having my children natural because of the side effects of having an epidural... I still have back pains in that area, but at the time of labor... I was screaming for the doctors to knock me out of my misery!